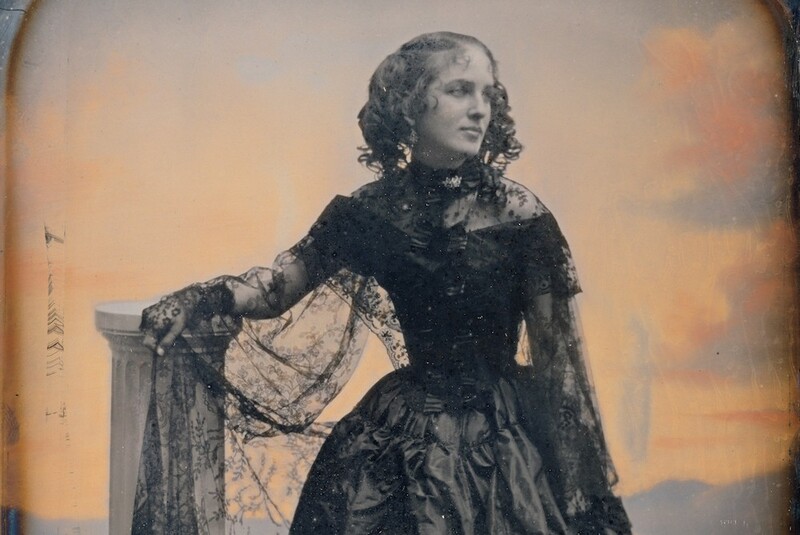 Daguerreotype of a woman in Black Taffeta Dress and Lace Shawl (circa 1850) by Josiah Johnson Hawes. Courtesy of the Metropolitan Museum of Art. One exact book on the table, dust it. I slipped on spilled bath water and broke bones. I spilled bleach on a shirt. I looked into the dark: bad mother, bad lover. Is a technique I don’t use anymore. A trifling thing: housework, being sure. Who would climb to save me? The giant came and went, stepped on me, spent. Stephanie Brown is the author of two books of poetry, Domestic Interior and Allegory of the Supermarket. She was awarded fellowships from the NEA and Breadloaf and her work has appeared in six editions of The Best American Poetry. She lives in Southern California.